Share the post "Podcast Episode 29: How to Get Started as a Freelance Writer"
In this brilliant solo episode, Lorrie goes into detail about how to prepare for starting out as a freelance writer, and what to do and where to go to start finding work. Hello, and welcome to Episode 29 of A Little Bird Told Me: the podcast about the highs, the lows, and the no-nos of successful freelance writing. I’m Lorrie Hartshorn and today’s episode is a solo one, which means that you’ll have to tune in next week to get another fix of the lovely Pip. This week, I’m going to be taking things back to basics a little bit, and talking about what to do if you want to become a freelance writer but you don’t really know where to start. This episode is actually in response to a query from one of our listeners, Tracy, who got in touch via our Facebook page and asked for some advice on this very topic. 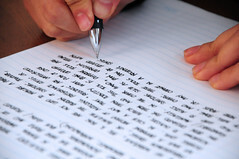 She wrote: “Could you do a show for those of us who want to become freelance writers but have no idea of how to do that? I don’t even know how to get started.” Which is actually a pretty brave thing to admit to. It’s actually really common that freelance writers feel stumped at first – there’s so much to consider when going freelance that I’d be worried if you weren’t a bit overwhelmed at first. I’ve had a think, and come up with a few tips to help you get started. Ask yourself why you want to go freelance: are you a good writer? 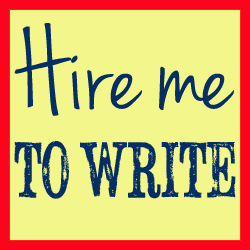 Do you have a genuine understanding of what a freelance copywriting career is like? Do you understand the different kinds of writing there are out there? Do you have realistic expectations when it comes to working from home? Do you understand fully that turning your passion into a full-time, self-employed position can really put a dampener on it? Are you ready to be your own marketing team, admin person, finance department, training and development team? Are you self-disciplined and pro-active? Do you try and find answers for yourself before you ask others? You’ll be working on your own for the vast majority of your time as a freelance and your clients expect you to have the answers – often to questions you’ve no idea about. But they’re paying you to know your stuff, so your knowledge, your research skills and your motivation have to stay right up there. Are you comfortable communicating with people at all levels – including board level – as a representative of your own company? Are you able to sweet talk people face-to-face and over the phone? Are you ready to schmooze and flatter and laugh at people’s jokes and find the one thing you can relate to in a conversation with a potentially important prospect at a networking event? Or would you clam up? Can you chase leads? Can you negotiate rates, deadlines and contracts to suit you as well as your client, while coming across as assertive and fair rather than petulant? The last thing you want to do is fail to really take on board all these challenges – it’s better to face them before you get started so you can identify and hopefully tackle any gaps. Many of these skills can be learnt – so don’t be horrified if you’ve never done this stuff before. But, if you’re listening and thinking that this all sounds like your worst nightmare, there’s definitely an issue. Ask yourself whether you’re good enough as a writer: this sounds like a pretty harsh piece of advice, but the key to being a successful freelance writer has to, of course, be having the right skill set. As Pip and I have said many times before, decent grammar does not a copywriter make. There’s a lot more to it – read blogs by any freelance copywriters and you’ll get a good idea of what’s involved – but at the end of the day, you do have to have that basic talent – as well as the ability and the stamina to carry on writing and improving your writing every working day for the rest of…well, forever! You need to be able to express yourself (and your client, and a marketing message) through writing, and you need to be able to do it well, relatively quickly, and time and time again. Ask yourself if you’re in a secure enough position to go freelance. Even if you’re going freelance for all the right reasons and you reckon you’ll be great at it, life happens. As Pip and I have mentioned before, it might take ages for you to find clients. Clients might take ages to get back to you. You might have to wait a month (or more if you’re writing for magazines) before you get paid. In the meantime, bills need paying and life needs living, so think carefully and take a good look at your financial situation before you go freelance. Don’t take a “carpe diem” attitude to it because you’re likely to spend the next three months sleeping on someone else’s sofa and eating rice and carrots. Of course, working around a full- or part-time job means that you’ll have to do your freelance writing in the early morning or in the evening – or just whenever you find yourself with a free moment (kiss goodbye to lunch breaks!). But, it’s a good opportunity to work out whether freelancing is for you. It’s a good chance to see if you work well under pressure and whether your writing is still flowing after three or four weeks of boring press releases or brochures or websites. Better still, it’s a safe opportunity, and it won’t leave you penniless if it doesn’t work out. So, if you’re sure that you’re ready to be a freelance writer and you’ve got as many of those challenges I’ve mentioned covered as possible, it’s time to take some steps towards actually getting started. Again, I’ll try and keep this brief, but once you’ve got these ideas down, you can go off and do your research at leisure. Make sure you’ve got all your basics in place before you go freelance – will help you hit the ground running (service offerings, hourly or other rates, business plan, marketing plan, website, social media feeds, CV…) Starting a freelance career with only a vague idea of where you’re headed and what you’re doing isn’t necessarily a fatal mistake but it’s likely to be a costly one, and one that will waste a lot of time for you. You need to be sure about what you’re going to be doing so that as soon as an opportunity arises, you know where it fits. So what are you going to do for the first month of your freelance career? The first three months? The first year? What training are you going to do? If you’re stuck on how to set goals for yourself, I’d suggest having a listen to our first podcast of 2013, which was all about how to set SMART – specific, measurable, attainable, relevant and time-sensitive and timely – goals. What services will you offer? Will you have one main service and some little ones, or a range of equally balanced services? Do you know how to edit (and it’s NOT the same as copywriting, so don’t assume!) or proof-read? Have you got your website and social media feeds up, running and populated with interesting and engaging information? Have you positioned yourself well in the market by looking at your competitors? If there’s a particularly sector you want to work in, do you know who the big players are and who their movers and shakers are? Do you know your trade press publications? Do you know the most popular websites and blogs in that area? These are all things you need to know in order to build a big picture of the world you’re going into. Knowledge is power. What kinds of writing will you be doing? Do you have a unique selling point – or USP? Are there any sectors you’re going to target specifically? Are there any areas you don’t want to work in? I, for example, learned early on in my career (when most of my work was translation) that I’m not cut out for writing legal stuff. I don’t enjoy translating contracts and it’s not something I feel able to deliver well on. However, if you had, say, a couple of years’ experience as a paralegal – or if you’d taken a law degree – you might well find that this could be a specialist service you offer. Legal writing. So you’d research that area, find out how other people are marketing themselves and try and go one better. Better website, better SEO, better offerings, better testimonials, etter rates, whatever. While I’m not going to be able to cover all of the points I’ve mentioned here, if you have a look through the back catalogue of episodes that Pip and I have recorded for you, you’ll see that a lot of it is covered in really good detail. We’ve talked about the skills you need as a freelance writer, we’ve talked about how to set your rates and then improve them when the time comes. We’ve talked about on- and off-site SEO, which gives you a really good idea on how to market yourself across digital channels. There really is a lot to learn if you have a listen, so be pro-active and have a root through the archives! Create a reputation: it can be easy to get caught up in the whole, “I don’t have experience so I can’t get experience!” train of thought when you’re starting out. But, in my opinion, it’s just a matter of keeping on looking for the right opportunities and continuing to market yourself. I’ve seen a lot of people advising freelancers to build a portfolio of work by working for free – and while it’s a fair point, it’s not something I think is necessary. I think that, if you create a strong online brand, and you back that up with sustained marketing efforts and a professional persona, you’re on the right track. I don’t accept that working for free is a necessary starting point, and I’d question any for-profit company that wants you to give them writing in return for vague things that won’t pay the bills, like “exposure” or “experience”. But, that’s not to say that you shouldn’t work at building your reputation. Get yourself on a forum or a blog and leave insightful comments. If you’ve had salaried positions before – or even informal freelance gigs – email or phone the person you worked for and ask them for a testimonial. Get them to endorse you on LinkedIn. Don’t be afraid to show you can do a good job. Make sure the copy on your website is spot on. Take the assertive approach – represent yourself as the expert you want to be (and should be training to be), market yourself consistently and I’m confident you’ll be able to build a reputation as someone people should consider hiring. If you want more information on working for free, Pip and I did cover in detail why we both think that’s a bad idea in episode four. We did point out that volunteer writing or guest-posting on blogs is a good way to fill the gap – if you really feel like you want to get some real life experience and some articles to show new prospects, then these are effective ways to go about it. What we’re really warning against is 1) thinking that working for free is an inevitable rite of passage for freelance copywriters and 2) thinking that for-profit companies have a right to get work from you for nothing. Start out as you mean to go on, and value yourself. It’s a good way to get other people – clients! – to do the same thing. One of the great things about setting out as a freelance copywriter is that it’s almost completely free. You definitely pay for it in other ways – time, stress, a super steep learning curve – but in terms of initial financial outlay, we’re lucky in that the only things we absolutely really need to pay for are a domain name and hosting for a website. In this day and age, it’s not really OK to have a site with some long-winded name, so choose a domain carefully and get your site up and running. WordPress is a really easy-to-learn tool and an easy-to-manage CMS system – both Pip and I use it for our websites and blogs – so I’d definitely recommend you get on there and start having a play around as soon as you even think you might go freelance. I upload work for several clients directly to their WordPress, so it can actually come in handy for other reasons as well. But yes, to go back to the point, while you might be living off savings while you get started as a freelancer, the costs are minimal if you’re pro-active and finding freebies doesn’t mean skimping on quality. Social media marketing is free. Signing up for newsletters from brilliant sites like Write to Done and Copyblogger is free. Chatting on forums (or fora, if we’re being correct) is free. Asking advice from other freelancers, as our listener Tracy has done, is free. Producing content for your site, free. Finding creative commons licensed images to spruce your articles up – free. Training courses on sites like Alison.com and Open Learn by the Open University – all 100% free. So there’s no excuse not to absolutely max out all of these resources as you build a freelance career – and to keep on doing so as you progress. Training and development is hugely important, so don’t let it slide. When you’re the only person representing your business, and you’re the only thing between you and bankruptcy, you can’t kid yourself and you can’t pretend. You need to knuckle down and educate yourself. We’re all totally different, so the way we find work will differ. You might be looking for B2B clients, you might be looking for B2C clients. You might want to write for magazines and newspapers, you might want to write for charities, social enterprises and non-profits. And just as your target market will differ depending on your strengths, weaknesses, preferences, personal experience etc. so will your method of finding work. The best piece of advice I can give you, once you’ve got your own house in order with website, marketing etc., is know your target market and put yourself in people’s ways. That might mean collecting data from a sector specific conference and emailing people you’d be interested in working for. It might mean going to a networking event and collecting business cards. It might involve cold-calling and taking 100 rejections until you get a “maybe” from someone. It might involve adding people on Twitter at a time when you know their company is going through some big changes. Or connecting with someone on LinkedIn. Or bidding for jobs on reputable copywriting sites like peopleperhour.com or constant content. There’s no magic formula, sadly, otherwise way more people would be freelancers. The key is to know what you’re doing, to manage yourself and your time (and your money!) wisely, and to pitch and market yourself consistently. We’re talking hours every day while you’re getting started – and remember that this will never stop. As Pip said in a recent episode, your little black book of contacts will never be full. So, I really hope that this has been a useful introduction into how to get started as a freelance writer. As I said, this is in response to a query we’ve had from a listener – we really do take feedback on board and we’re happy to cover the topics that you want to hear! We’ll be ploughing ahead with our own podcast calendar in the coming weeks, but if you’ve had a listen to this and you think there’s a question you’d like to ask, why not pop by our social media feeds? Both Pip and I are on Facebook and Twitter, and we’ve also got a Facebook page for the podcast itself, so we’d love to hear from you. In the meantime, let us know what you think to today’s tips. Are they spot on? Have I missed something crucial out? Drop us a line and tell us what you think. Tell us how you got into freelancing. Share some of the mistakes and wins you’ve had along the way. Help out listeners like Tracy who are just taking those first few steps. I’ve been Lorrie Hartshorn, and as ever, thanks for listening – we’ll catch you next time.